Shu Uemura have released some gorgeous new cosmetics featuring the Yazbukey x Shu Uemura collaboration, a Paris based accessory and jewellery designer Yaz Bukey, for a fun chic collection. Yaz Bukey is a fairy tale heroine who comes to life - the Paris based Ottoman princess from Egyptian royalty. She is worshipped around the world for its tongue-in-cheek feminine sophisti-pop. I can't wait to share with you all on what's new from the range and what I've been loving by Shu Uemura. There are six shades available in the Petal Skin, Cushion Foundation Poreless Coverage Fresh Matte by Shu Uemura. Pictured is in shade #764 Medium Light Beige. 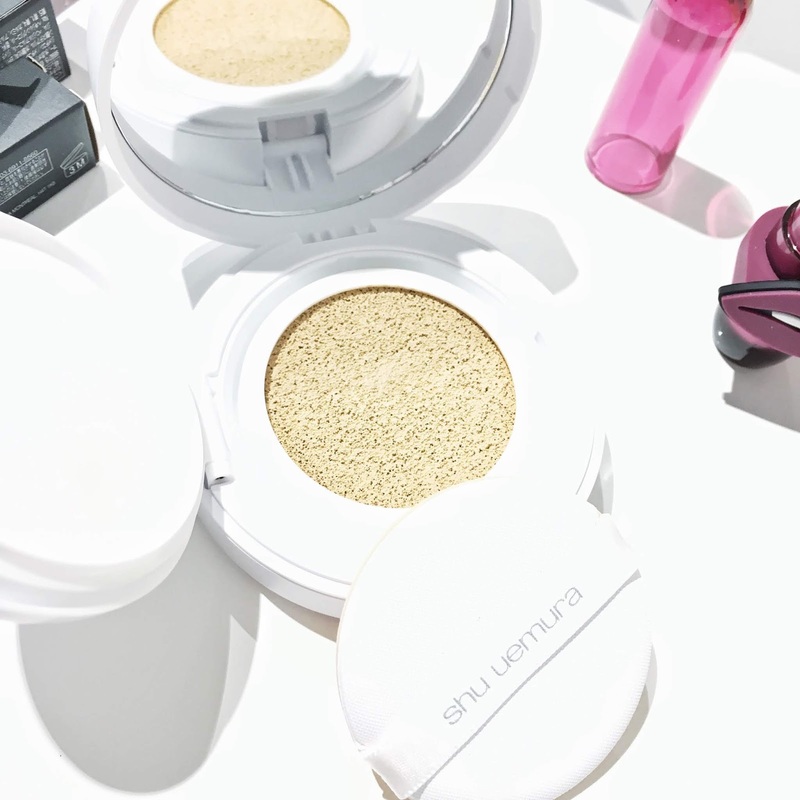 The cushion foundation helps to leave your skin looking so smooth and radiant, it's definitely the perfect product for on the go. Simply use the cushion sponge to touch up over any imperfections on the skin. The idea of the petal skin cushion is that it uses a liquid to powder formula, which in effect leaves you with a fresh matte finish. After using this cushion foundation, I felt that my skin looked so much more flawless and smooth for coverage which is amazing! If you want to add a fun and artistic touch to your matte lipstick, these Limited Edition Magic Metallic Lip Liners are definitely the way to go. They have been inspired by Yazbukey! You can compliment the matte lipsticks with the magic metallic lip liners for a more interesting look. The shades as shown above are Bronze OHH and Gun Metal BANG. 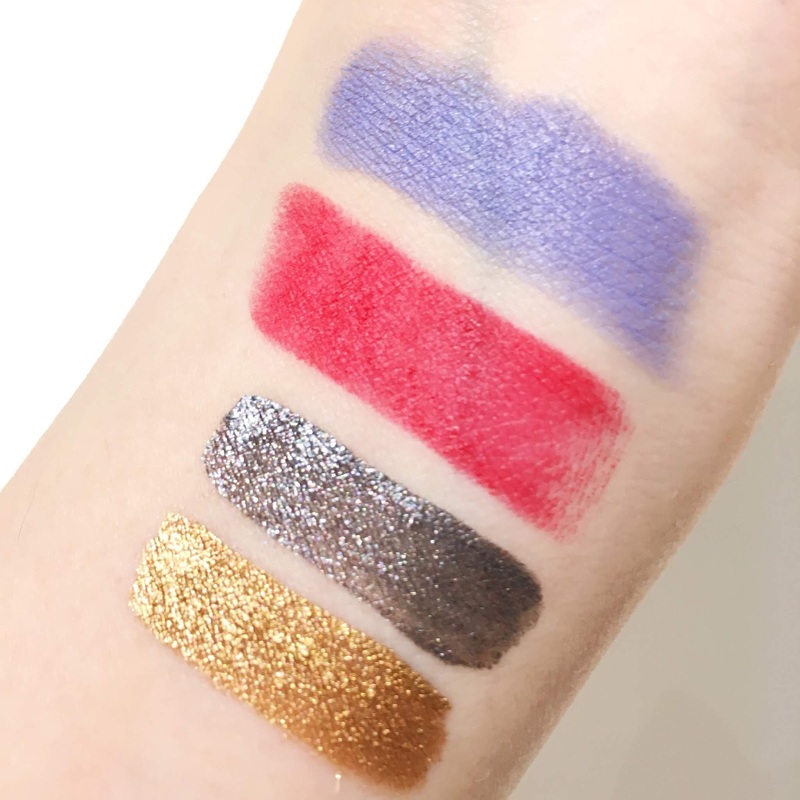 I've actually swatched these below and you'll be amazed by how gorgeous and beautiful they look. 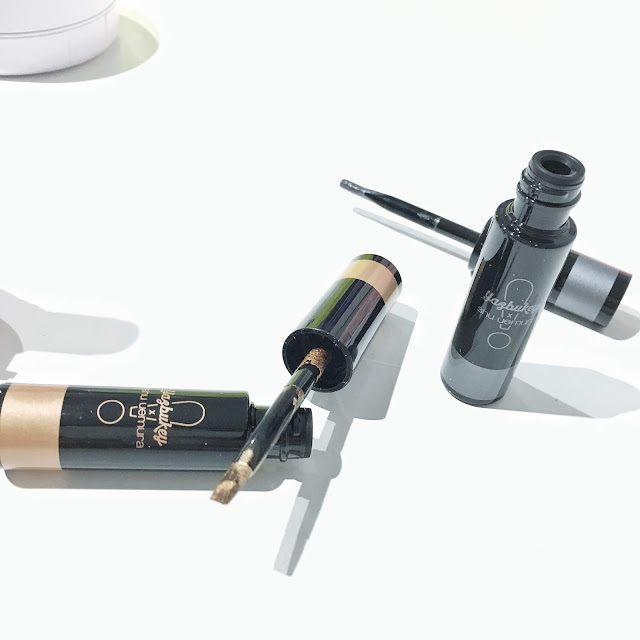 The products come with a brush applicator which makes it so much easier for application. These exclusive range of gorgeous matte shades offer a full coverage and comfortable wear for all day long. 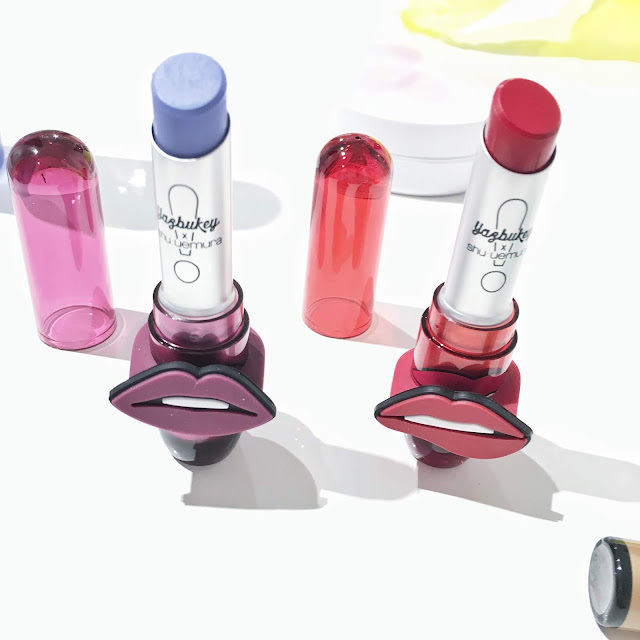 The idea of these lipsticks is to mix and match...so here's your chance to be creative! The matte lipsticks are super moisturising and comfortable to wear on the lips. They are nowhere near as drying which is great for a matte type of lipstick. The texture of these lipsticks are definitely creamy and if you want to check out the range, there are 16 wearable shades available. Check out the swatches below! Last but not least, I have to mention about the Makeup Refresher Mist in Shobu by Shu Uemura. 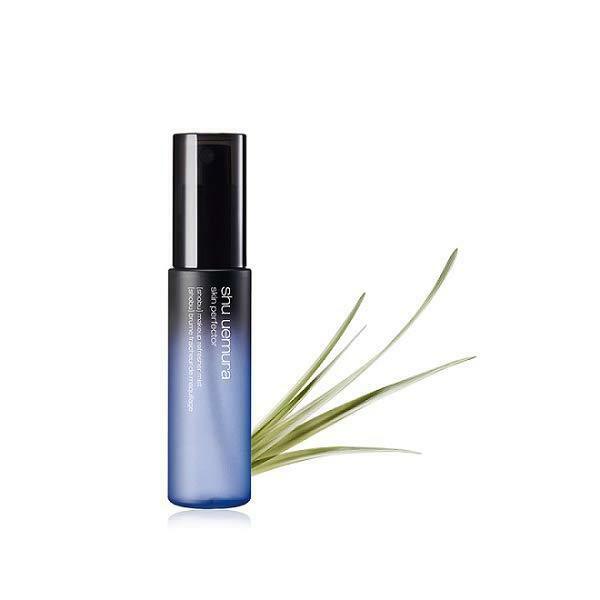 It's the perfect product to help your makeup last all day and provide your skin with an all day moisture and hydration. Plus, it leaves your overall complexion with a natural glow! 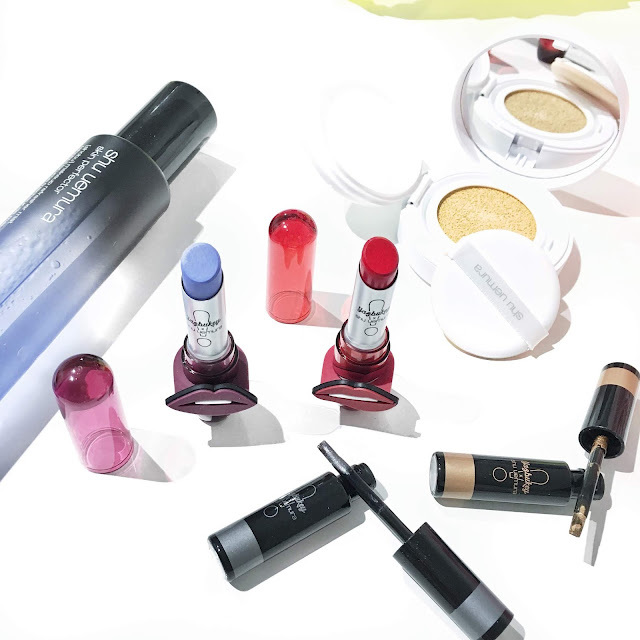 Have you checked out any of these by Shu Uemura as yet?